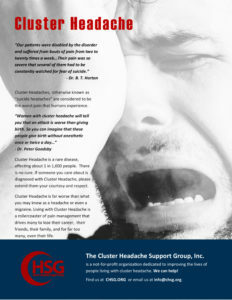 Headache is one of the most common ailments; migraine is one of the most prevalent and disabling neurological disorders and cluster headache presents as one of the most excruciating pain disorders. Both are complex disorder characterized by recurrent episodes of headache. A key feature is that various triggers can set off an attack providing the opportunity to explore disease mechanisms by experimentally inducing attacks. This review summarizes neuroimaging and hemodynamic studies in human in provoked and spontaneous attacks of migraine and cluster headache. Cerebral hemodynamics during different phases of the migraine attack demonstrate alterations in cerebral blood flow and perfusion, vessel caliber, cortical and sub-cortical function, underscoring that migraine pathophysiology is highly complex. Migraine attacks might begin in diencephalic and brainstem areas, whereas migraine aura is a cortical phenomenon. In cluster headache pathophysiology, the hypothalamus might also play a pivotal role, whereas the pattern of cerebral blood flood differs from migraine. For both disorders, alterations of arterial blood vessel diameter might be more an epiphenomenon of the attack than a causative trigger. Studying cerebral hemodynamics in provocation models are important in the search for specific biomarkers in the hope to discover future targets for more specific and effective mechanism-based anti-headache treatment. Download and read entire article at Journal of Cerebral Blood Flow & Metabolism.